If you're looking for a cooled camera to use with short / medium focal length instruments, the Atik 490EX Mono is the one that's right for you. The pixels from 3,69μm provide incredible detail, also with short focal length instruments. All these features are offered together with an excellent cooling system a light and compact body, are perfect for use with any type of telescope! The monochrome version offer more sensitivity than a color camera. But, in order to record color pictures, you need to add filters and filter wheels. If you're looking for a cooled camera to use with short / medium focal lenght instruments, the Atik 490EX mono is the one that's right for you. The pixels from 3,69μm provide incredible detail, but also with a short focal length instruments. All these features are offered together with an excellent cooling system a light and compact body, are perfect for use with any type of telescope! The ATIK 490EX is provided with one of the largest Sony sensors, the Sony ICX814. Thanks to the latest technology EXview, this camera offers an exceptional quantum efficiency, very low noise and excellent thermal management. This model is ideal for use with short focal lenght instruments like refractors and Newton, but is also suitable for SC or RC. 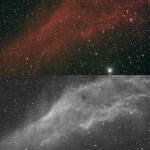 The excellent sensitivity makes it one of the best CCD cameras for astrophotography, offering a logical upgrade to amateur astronomers who already own a smaller CCD camera and are seeking uncompromised performance. 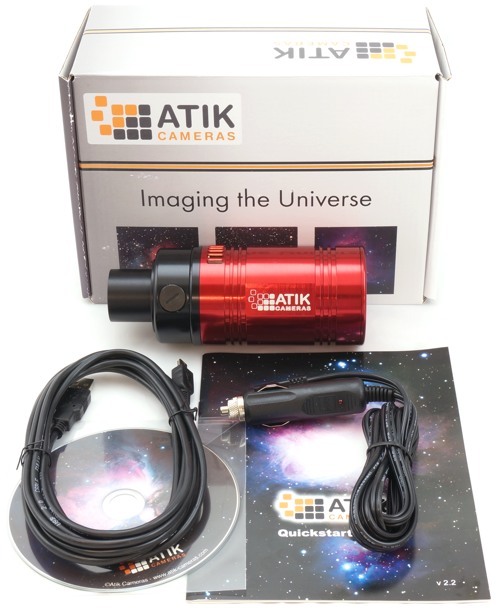 The Atik 4-Series is designed in such way as to combine power and control with flexibility and ease of use. The narrow body makes them ideal for use on Hyperstar and Fastar systems whilst maintaining suitability with a huge range of other telescopes. They feature fully regulated set-point cooling which makes for easy and consistent image calibration, though they feature such low noise that dark frames are no longer even a requirement, meaning you can spend more time imaging the things that matter. The slim, ergonomic design of these cameras naturally comes in at a low weight to help minimize stress on the corrector plate. The desiccant port is readily accessible from outside the camera for easy maintenance , and a simple 12V power requirement is complimented by low power use to help you get the most out of your imaging sessions, whether in the observatory or out in the field.